SUWANEE, Ga., Jan. 3, 2019 /PRNewswire/ -- ARRIS International plc (NASDAQ: ARRS) today introduced the world's most advanced solution for delivering Gigabit Wi-Fi performance to every device in every room: The SURFboard mAX™ Pro Mesh Wi-Fi System. This revolutionary new system tackles the growing need for Gigabit and multi-Gigabit connectivity throughout the home. Today, 90% of consumers (and 96% of power users) believe that high-speed Internet is necessary for all rooms of the house*. The SURFboard mAX Pro System achieves Gigabit service and ubiquitous coverage by combining cutting edge technologies: Tri-band, Wi-Fi 6 (802.11ax), 4x4, and Mesh—to create a future-ready system for constant connectivity. While today's mesh systems commonly use dual-band (2.4GHz and 5GHz) technology, ARRIS designed the SURFboard mAX Pro System around tri-band to leverage additional frequency bands for more throughput with less interference. The addition of a third, 5GHz band not only supports a dedicated connection between the two routers in the system—it also enables more connected devices in a single router configuration—a nod to the power users with 30 or more connected devices*. By freeing up the first two bands to communicate exclusively with devices in the home, the tri-band system is up to 180% faster than a comparable dual-band one. And because the SURFboard mAX Pro System uses pure Wi-Fi 6 and 4x4 across all three of its bands, it's also up to 180% faster than tri-band devices that cut corners with lesser technology. The SURFboard mAX Pro System features the latest Wi-Fi 6 technology with 400% faster speeds and 4x the range of Wi-Fi 5 (802.11ac). Specifically, it can achieve multi-Gigabit wireless speeds to handle today's 4K video streaming and gaming as well as tomorrow's 8K, high dynamic range, and virtual reality experiences. Using Wi-Fi 6, the SURFboard mAX Pro System also achieves a usable range of up to 6,000 sq. ft**--or up to 3,000 sq. ft** with a single SURFboard mAX Pro Router—to cover most multi-level homes. Finally, Wi-Fi 6 allows connected devices to use Wi-Fi up to 7x more efficiently, saving precious battery life on mobile phones, tablets and more. The SURFboard mAX Pro System is the world's first tri-band router to feature four Wi-Fi 6 antennas (4x4) on each of its three bands, to achieve the fastest Wi-Fi speeds on every device, simultaneously. More antennas act like more lanes on a freeway to ease network traffic. Together with ARRIS's intelligent mesh technology, they enable a seamless network that actively and automatically directs every single device to the fastest possible connection. ARRIS's next-generation antenna technology is so advanced it doesn't require external antennas— leaving a clean, modern silhouette that compliments any environment. "The SURFboard mAX Pro System is a showcase for the future of connectivity," said Evan Groat, SVP and GM of Consumer Products Group, ARRIS. "It is the answer to consumer demand for the fastest speeds throughout the entire home. Gigabit is becoming table stakes, and we've combined the best networking technology available to ensure that consumers can use all the speed they pay for, on every device, in every room, for years to come." 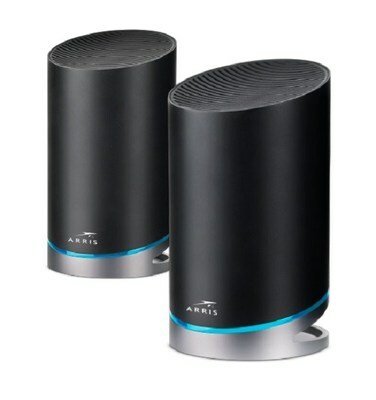 "ARRIS's continued foray into Wi-Fi 6 comes at an opportune time in the wireless market. Specifically, the growing number of connected devices in the home is creating a surge in network traffic and driving demand for more reliable and higher-capacity Wi-Fi," said Andrew Zignani, Senior Analyst, ABI Research. "ABI Research expects Wi-Fi 6 to represent more than a third of residential Wi-Fi equipment by 2023. 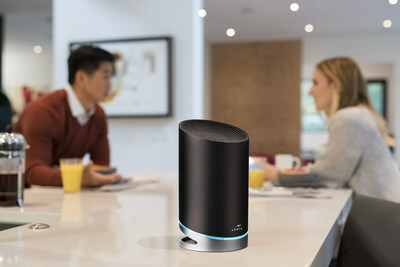 The early availability of Wi-Fi 6, mesh systems, like ARRIS's, presents a unique opportunity to reach a high-end market segment that is willing to pay a premium for better performance." SURFboard mAX Pro Mesh Wi-Fi System and SURFboard mAX Pro Mesh Wi-Fi Router will be available in the first half of 2019. ARRIS SURFboard® products are your gateway to entertainment. They let you enjoy the latest entertainment, the world's fastest speeds, and the coolest new services throughout your home, and beyond. And they're available at your favorite retail store. For more information, visit www.surfboard.com. * According to the 2018 ARRIS Consumer Entertainment Index, which surveyed 20,000 consumers in 20 countries on their broadband and entertainment consumption. "Power Users" are defined as consumers with 21-30 connected devices in their homes. Stats referenced are from North America. ** The SURFboard mAX™ Pro Mesh Wi-Fi System includes two routers. Wi-Fi speeds listed are the maximum theoretical possible with the radio and antenna configuration. Speed and range improvement and battery consumption saving over Wi-Fi 5 (802.11ac) requires compatible Wi-Fi 6 (802.11ax) client devices. Results may vary depending on wireless network congestion, interference, client capabilities, and home construction and other environmental interference. The product is not intended for outdoor use, units must be set up and remain indoors. ARRIS, the ARRIS logo, SURFboard and SURFboard mAX are trademarks of ARRIS International plc and/or its affiliates. Wi-Fi is a registered trademark of Wi-Fi Alliance® and Wi-Fi Certified is a certification mark of Wi-Fi Alliance®. All other trademarks are the property of their respective owners. © 2019 ARRIS Enterprises LLC. All rights reserved.